A: Thanks for sharing your recent find which I think resembles a dog or some other animal. 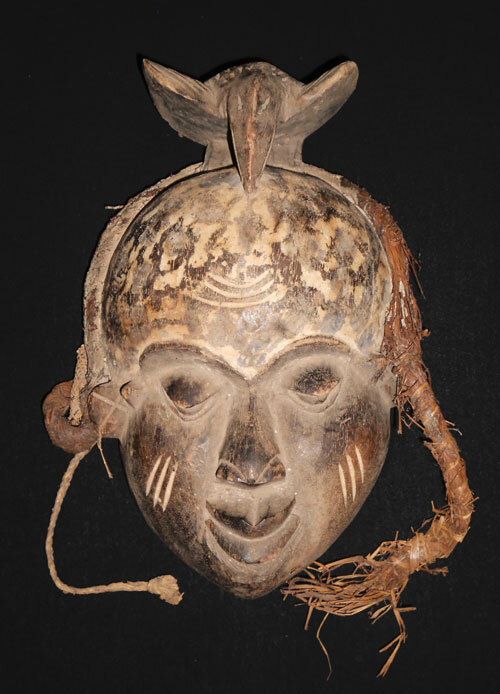 Primitive masks made by untrained tribesmen can be appealing, especially if you have a little back story or provenance. So here’s the bad news. 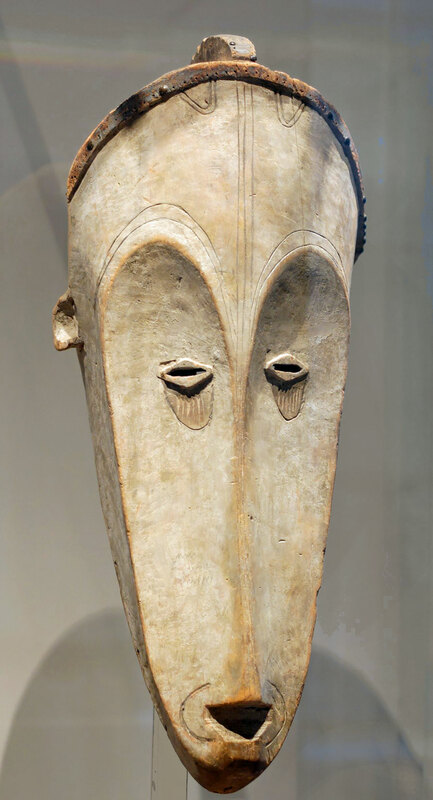 Masks like this are simple and crude, with very few design features that might aid me in my search. 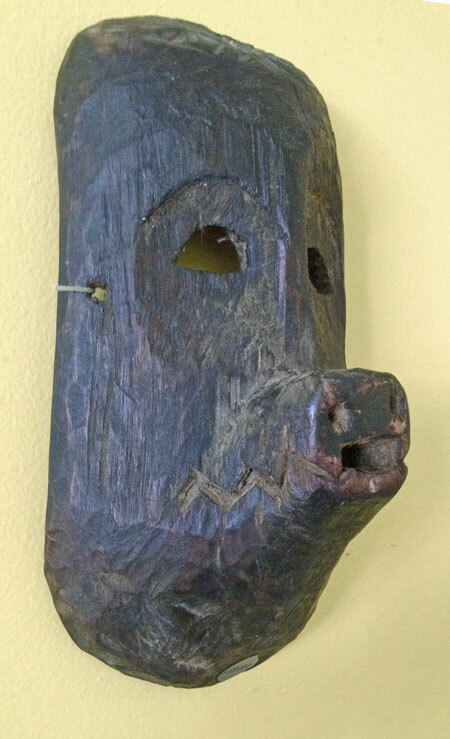 I might find something like it that comes from Nepal and then, later on, something similar from a remote area of Mexico, or even another part of the world. Or I may not find anything that looks like it. 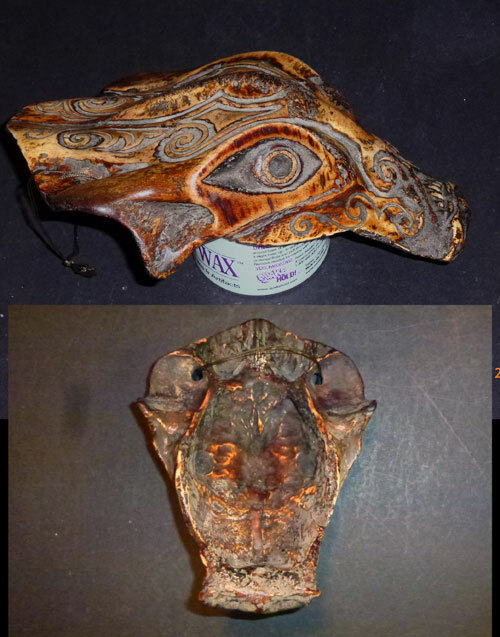 Some masks are very hard to identify. Beautiful! 🙂 I’d bet it is a pig! And old and authentic. Yes, Nepal came to my head first, as well…. 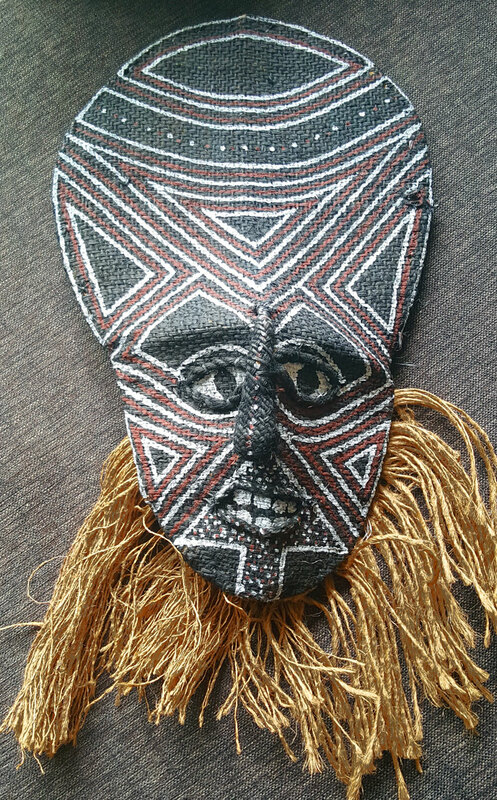 The mask is beautiful and looks genuine to me as it does not pretend too much to be attractive to a tourist market. I would tend to agree with the comment from Chris, above. This is something we find coming from what we call “The Middle Hills” in the Himalayas. I would say north-west area and form the Tamang ethnic group. There are not usual, but l sometimes get to see the odd one during my regular trips there. It would be good to see the back of it and of course it would be even better to hold it, feel its weight and smell. Too much fire wood smoke is not always a positive sign that the article is old, as for the patina (it looks good to me from a photograph) it could be minutes old… If it is genuine old and from Nepal, you have something great, although the commercial appeal in the West is not huge, but to collectors of Tribal Art it would be of interest. The style is representative of hill people living in often difficult and precarious areas of the Himalayas. I understand the iconography as a result. 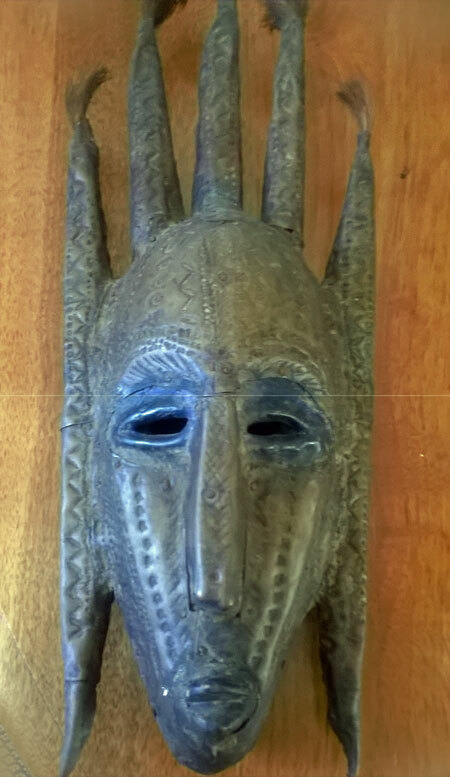 If it is new disguised as antique, then we have a bit of a problem…however you look at it, old or new, the mask is very strong, almost naively brutal. If the wood is dense and heavy it could be from hard wood like teak type, even rhododendron or walnut you find at those altitudes. These woods do not attract wood eating insects as much as spruce/pine that you also find in that region but a bit higher up. 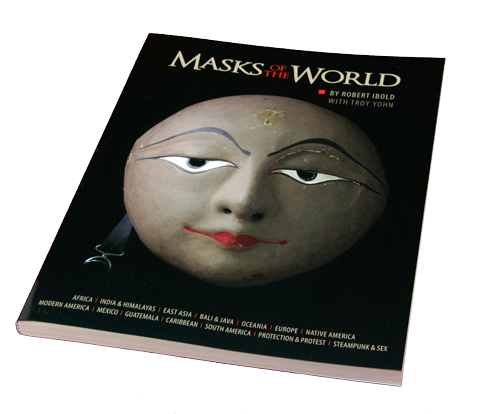 If there is a red wax seal inside the mask, that’s a clue that it comes from Nepal and is the legal seal that it is less than 50 years old. No seal? It does not mean it is not from Nepal but could well be from somewhere completely different…but, my gut feeling, like Chris’s is that it is form Nepal. Personally l love it for what it is . You have a good mask here.